February has been a difficult month here in New England. which have resulted in many leaks inside the house. as we look to the home repairs we'll be facing in the spring. 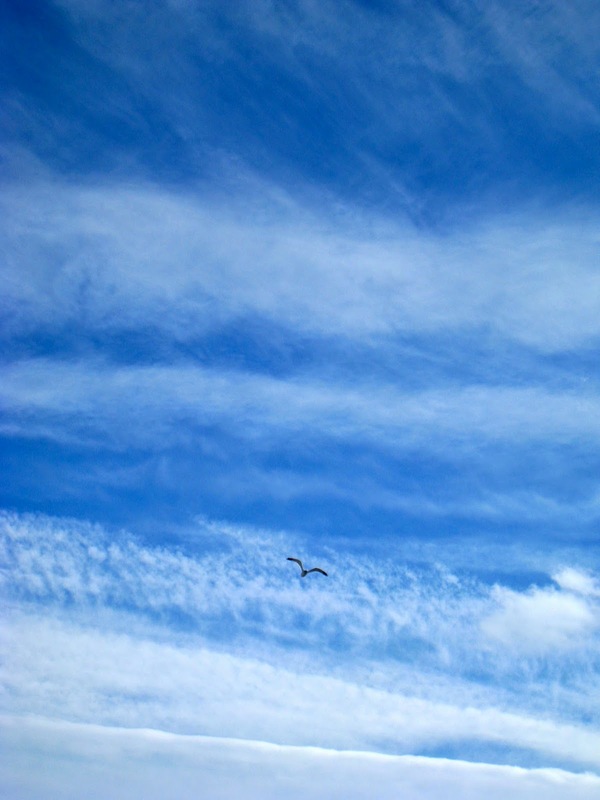 there was a beautiful azure sky. just looking up. So much beauty right above my head! 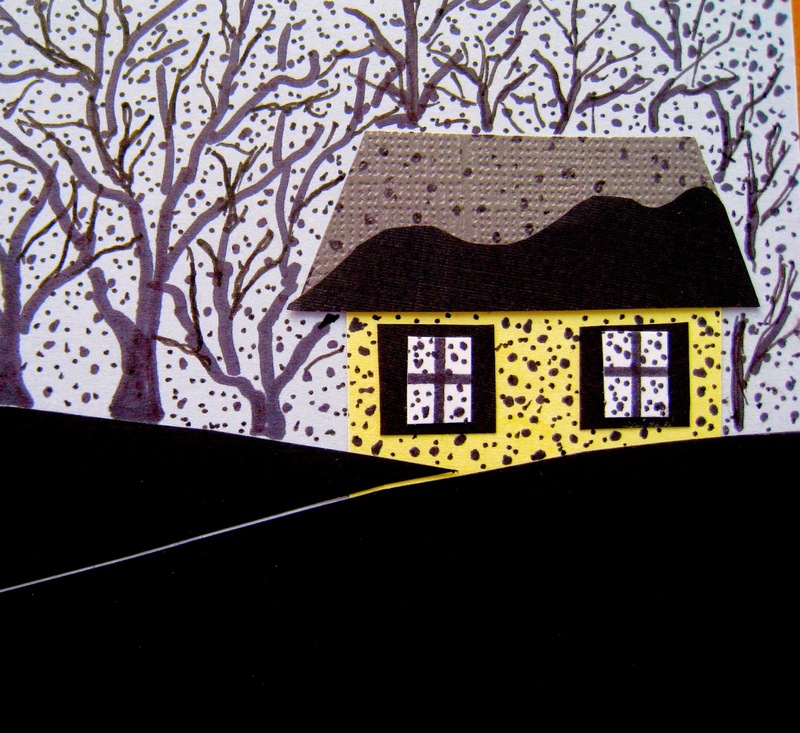 of weeks ago, reminding us of how much worse it would be if snow were black! 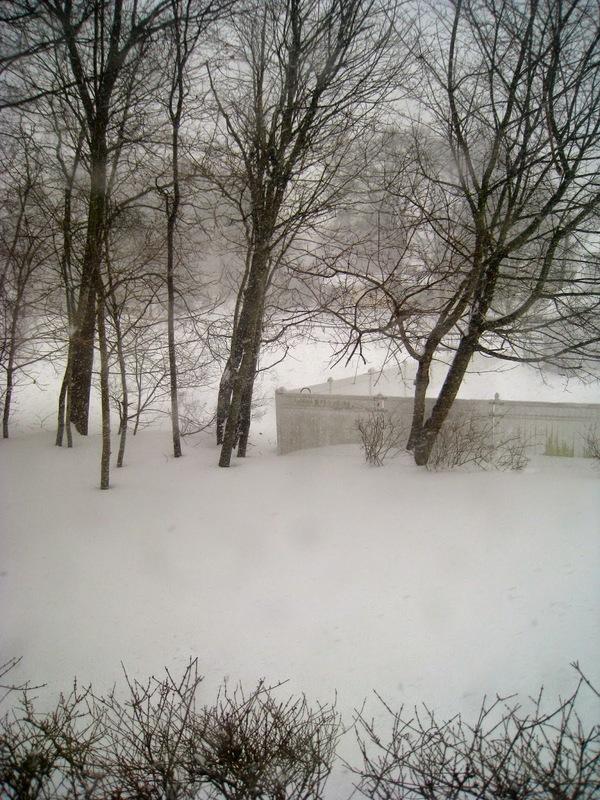 falling snow is adding about a foot to our already high snow banks. 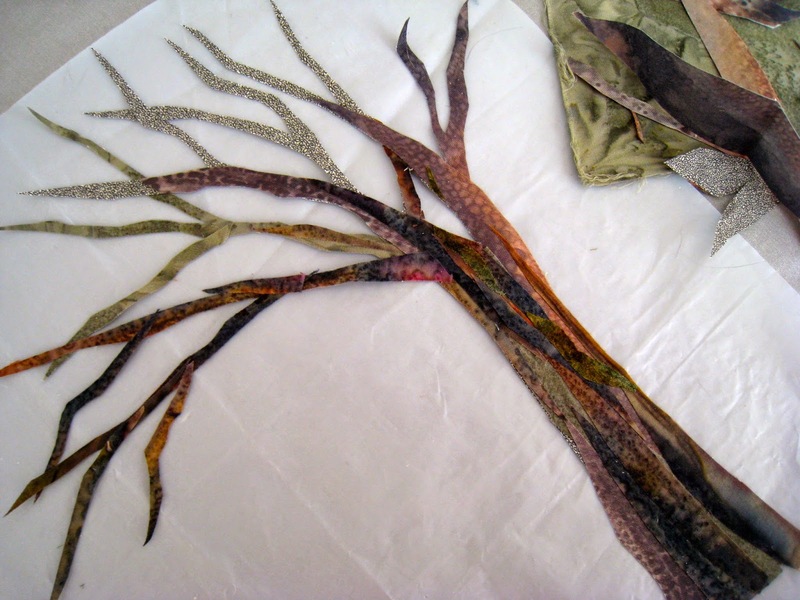 and I am building fused fabric trees on a teflon sheet on my dining room table. This will later be lifted up intact and placed on an in-process landscape. I'm hoping that the different colors will add dimension to the tree. and post lamps on each side. This will be a job for the snow blower! don't capture the swirling snow as it falls, but it is accumulating rapidly.